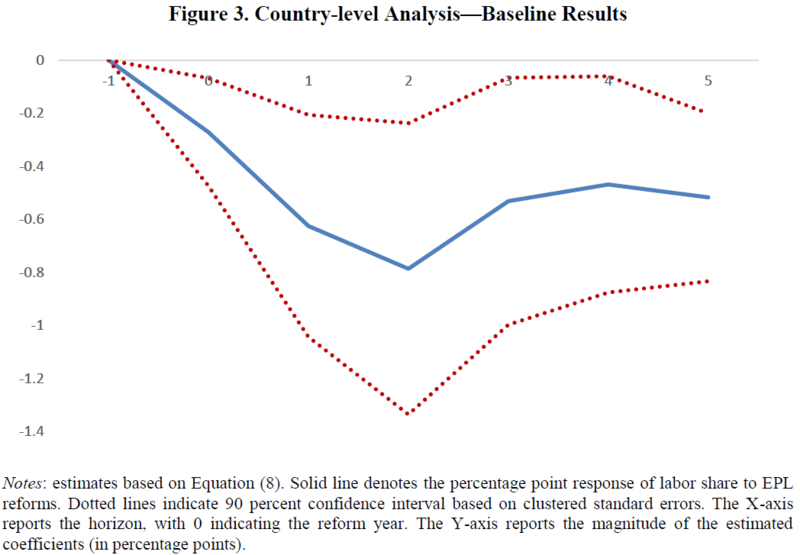 “This summer, the IMF challenged yet another pillar of neoliberal thinking when it published its Working Paper on the negative impact of deregulating job protection on the labour income share. Whereas the economic mainstream has systematically argued that technological progress is the main reason for the global trend of falling labour share (see OECD chapter 2 and IMF), this new paper finds a strong link with the policies of weakening job protection that have been pursued over previous decades. “Another interesting piece of research is the OECD’s work on nine country cases that examine how to get displaced workers back to work (job displacement is defined as permanent economic dismissal affecting workers with at least one year of tenure). 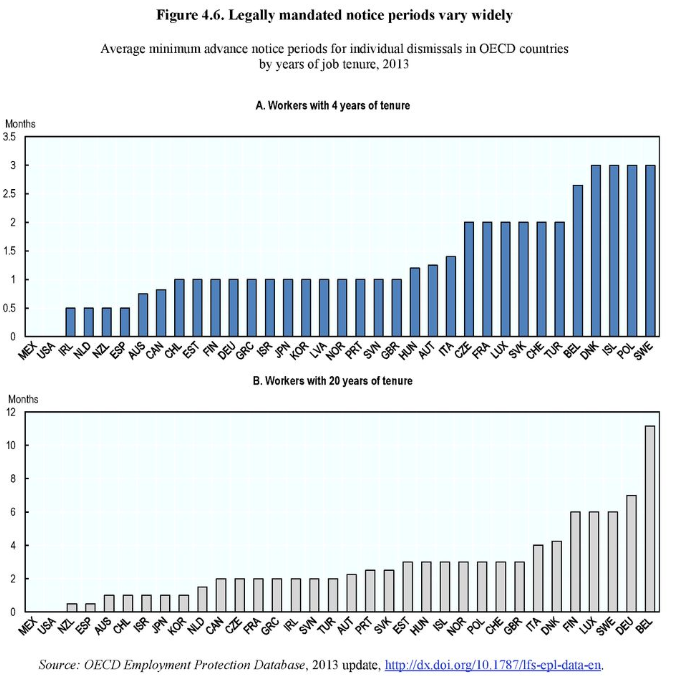 Here, one remarkable policy message running throughout the OECD research (chapter 4) is the importance of adequate job protection in the form of advance notification. Continue reading the IMF working paper here. “I just returned from a great BFI Conference at U Chicago, Developing and Using Business Expectations Data, organized by Nick Bloom and Steve Davis. Wonderfully, density as opposed to point survey forecasts were featured throughout. There was the latest on central bank surveys (e.g., Binder et al. ), but most informative (to me) was the emphasis on surveys that I’m less familiar with, typically soliciting density expectations from hundreds or thousands of C-suite types at major firms. Examples include Germany’s important IFO survey (e.g.,Bachman et al. ), the U.S. Census Management and Organizational Practices Survey (e.g., Bloom et al. )., and fascinating work in progress at FRB Atlanta. “Writing back in 1973, Hirschman offers examples of “development disasters,” in which those stuck in the left lane have come to strongly suspect that economic development will not benefit them, and thus a high degree of social unrest emerges. and he cites Nigeria, Pakistan, Brazil and Mexico as facing these issues in various ways. I find myself thinking about the tunnel effect and expectations about future social mobility in the current context of the United States. “As countries such as the US face increasingly ageing populations, policymakers face the question of whether to encourage workers to work beyond historical retirement age. Using strategic survey questions, this column gauges whether older Americans stop working due to their lack of interest in working longer or due to lack of opportunity, and finds that it may be the latter. The revealed strong willingness to work implies that job opportunities with flexible schedules are hard for older Americans to find. 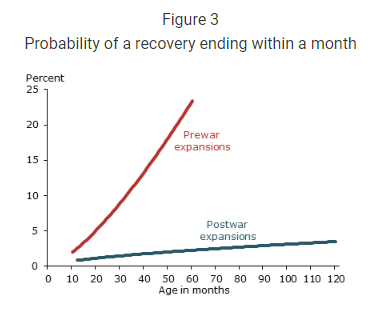 “As the expansion ages, there’s progressively more discussion of whether its advanced age makes it more likely to end. The answer is no. 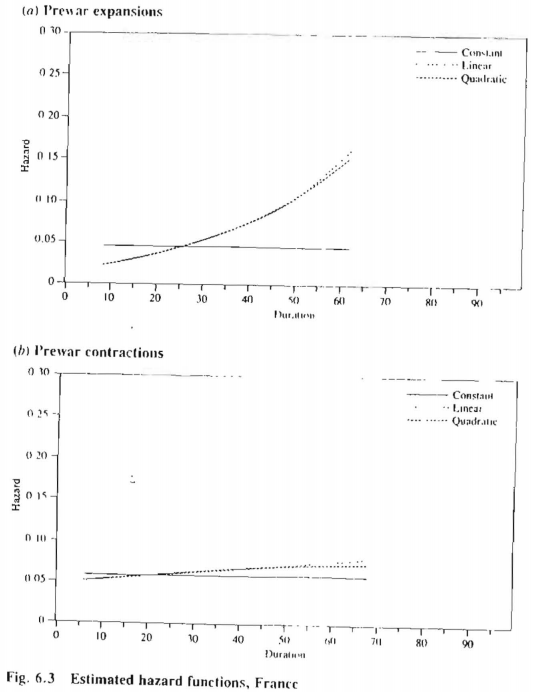 More formally, postwar U.S. expansion hazards are basically flat, in contrast to contraction hazards, which are sharply increasing. Of course the present expansion will eventually end, and it may even end soon, but its age it unrelated to its probability of ending.